A great series for girls to begin exploring entrepreneurial concepts—from product research to merchandising to teamwork—and also get some great cupcake recipes! The first of 30 books in the series (these should keep your daughters busy for a while), each book is written in the first person from the perspective of one of four friends on a rotating basis. The series is about new friendships and old, new problems (cyber-bullying) and old (friendship dynamics), and how a love of cupcakes and a business can bring girls together. A recipe for a different cupcake is included at the back of each book. In Book #1, Katie Brown’s first day of middle school is awful. Her best friend Callie came back from camp boy-crazy and part of a whole new group of friends: the PGC (Popular Girls Club). Katie is looking for new friends and when she brings a PB&J cupcake to lunch, it bonds her with three other girls and they decide to start a cupcake club—taking turns bringing cupcakes for the group each Friday. Later, the girls make 200 cupcakes for a school fundraiser to try and raise more money than the PGC. After the Cupcake Club earns more than everyone else, a PTA member asks them to make cupcakes for an upcoming luncheon sparking the girls’ decision to start a business. This first book in the series primarily sets up the characters and storylines; the entrepreneurial aspects don’t enter the narrative until midway through the book. 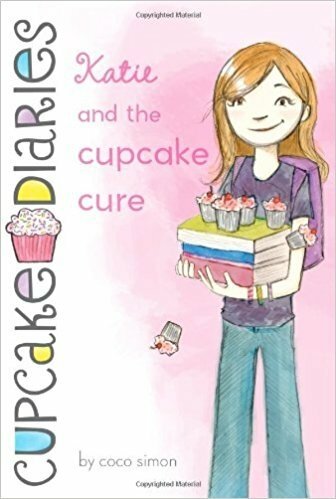 In Chapter 14, there is a great scene demonstrating the importance of product research and testing—the girls debate which kind of cupcake to make and decide to test different recipes. They make a few smart decisions including theming the cupcakes in school colors, recognizing parents as potential customers, and testing the cupcakes to make sure they’re tasty enough for sale (it was a tough job but someone had to do it!). Merchandising and competition are big themes in the final scenes. The girls set up and decorate their stand at the PTA event, contemplate their display, and compare it to the competition. They also analyze their relative pricing and product supply, advertising, and booth location. Other business topics touched upon include training, mentors, pricing, operations, teamwork, and employee morale. See the Index of Business Scenes at the end of the newsletter for a detailed guide of business topics and scenes in the book. Before your daughter starts selling a product, encourage her to try the product herself and get family and friends to try it as well. Have her write down the feedback she receives and look for common themes. Review with her the product testing scene in Chapter 14. Have your daughter try a couple of different variations of her product and repeat the Product and Market Research exercise with each one. Once she starts her business, she can pass out free samples of each variety to get customer feedback and help determine which products to stock and in what quantities. To better prepare her to analyze her products and accept feedback from others, encourage your daughter to write an online review for a product she uses or write a letter to the manufacturer expressing her likes and dislikes about the product. 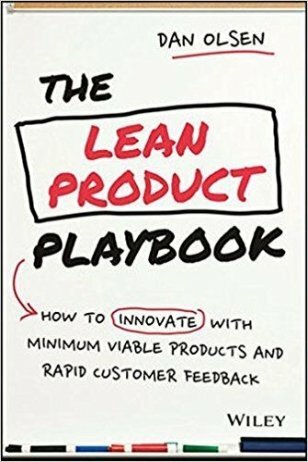 My favorite book on product testing and research is The Lean Product Playbook, which is a practical guide to using Lean Startup methodologies to build products that customers love. The book was written by entrepreneur and Lean Product expert Dan Olsen who worked with such companies as Facebook, Box, and Medallia to help improve their product processes and build great products. The book is dense in a good way—it’s filled with strategic descriptions of why he suggests the process, specific detailed instructions of what to actually do, and case studies of how he has put these same plans into place.